Iron is an essential trace mineral found in every living cells, it supplies oxygen to muscles and to enzymes that facilitate biochemical reactions. It is also an important component of hemoglobin, the protein in red blood cells that deliver oxygen to all tissues of the body and promote iron rich blood. 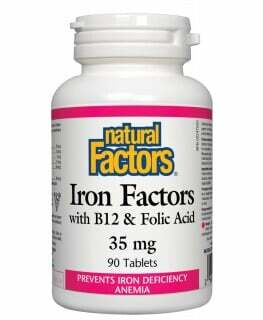 Iron requirements increase during growth, pregnancy, menstruation and other health conditions which require extra iron needs. 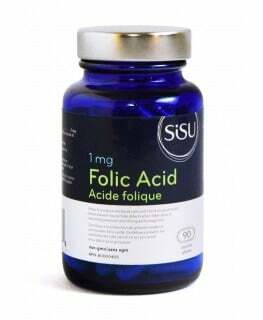 It supports women’s health and helps in the synthesis of brain neurotransmitters, including dopamine, norepinephrine and serotonin. 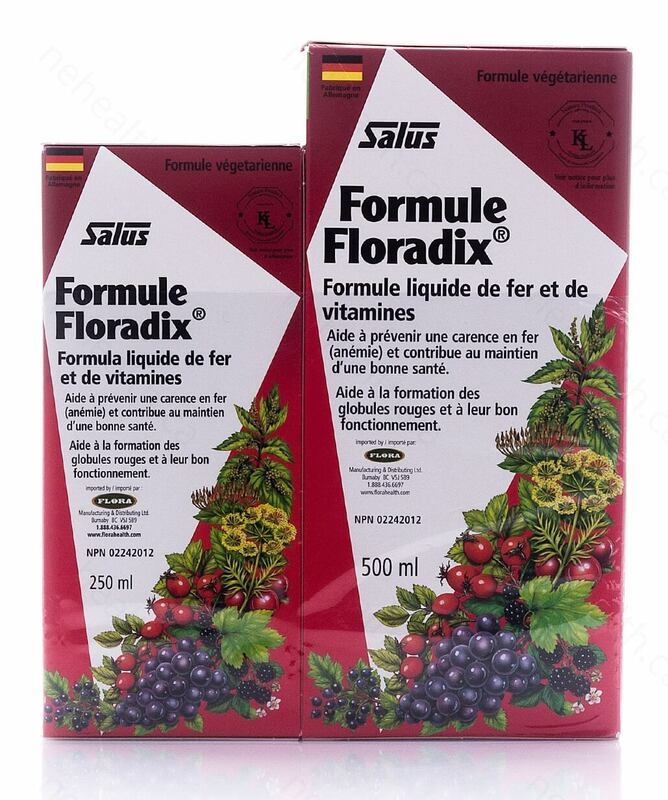 Flora Floradix Formula uses liquid ferrous gluconate, a highly absorbent form of elemental iron in a based of aqueous extracts of fruits and vegetables for enhanced absorption. 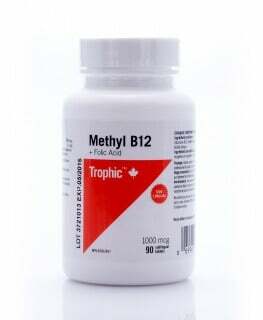 Excellent for increasing endurance, vitality and optimal health. 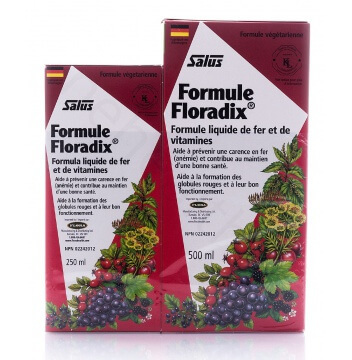 What Are the Key Health Benefits Associated with Flora Floradix? Aqueous extracts of carrot , stinging nettle , spinach , couch grass , bitter fennel , kelp , hibiscus; juice concentrates of pear , black grape , black currant , orange , blackberry , cherry and red beetroot; in a base of honey , extracts of rosehip , wheat germ and yeast , natural orange flavour, purified water and ascorbic acid (antioxidant). Shake bottle gently before use. Take a few hours before or after taking other medications. A measuring cup is provide. Adults and adolescents (>age 14): Take 10mL twice daily before a meals. Children (age 10-14): Take 10mL once daily before a meal. Children (age 5-9): Take 5mL once daily before a meal. 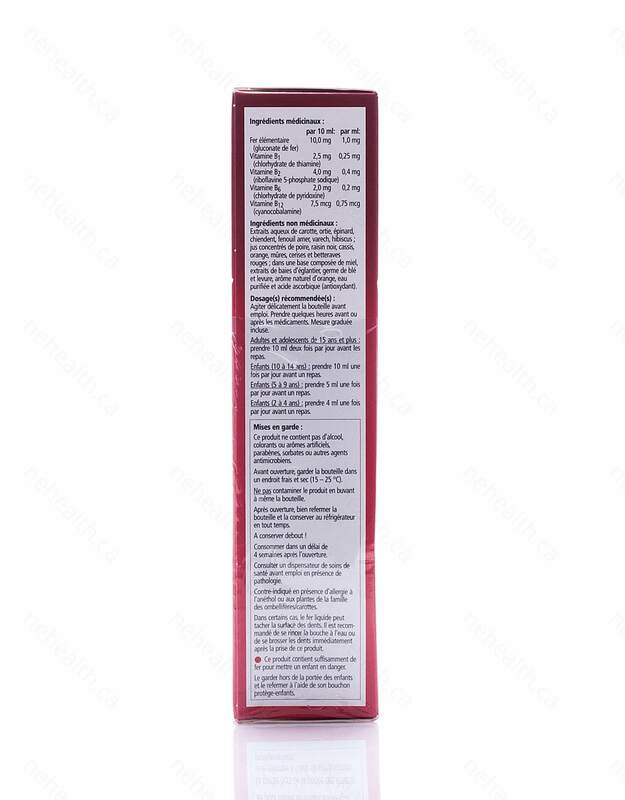 Children (age 2-4): Take 4mL once daily before a meal. Do not contaminate the product by drinking directly from the bottle. Once opened, keep bottle tightly closed and refrigerated at all times. Consult a health care practitioner prior to use if you have a medical condition. 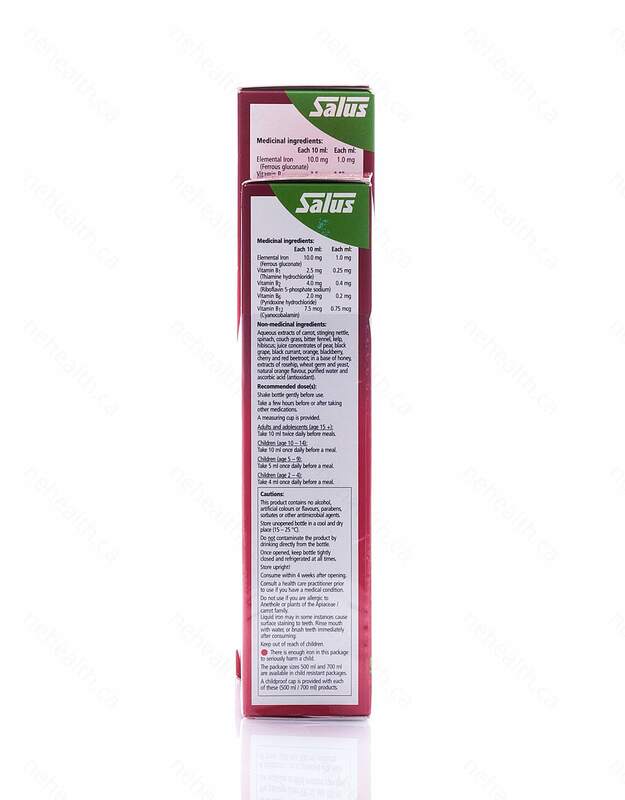 Do not use if you are allergic to Anethole or plants of the Apiaceae/Carrot family. Allen, Lindsay H. "Anemia and iron deficiency: effects on pregnancy outcome." The American journal of clinical nutrition 71.5 (2000): 1280s-1284s. McClung, James P., et al. "Randomized, double-blind, placebo-controlled trial of iron supplementation in female soldiers during military training: effects on iron status, physical performance, and mood." The American journal of clinical nutrition 90.1 (2009): 124-131.